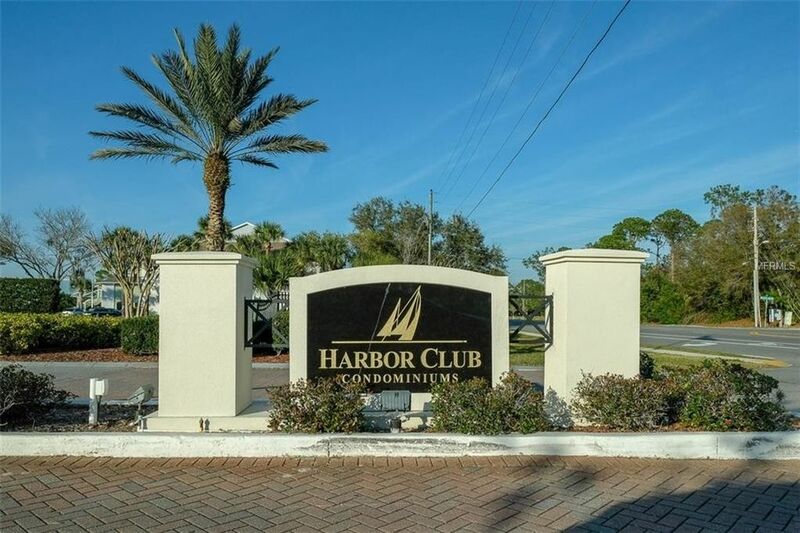 Rare 3 bedroom corner unit in Harbor Club! Watch beautiful sunsets from one of the best views in the entire complex. Centrally located between Ozona, Downtown Palm Harbor, and Dunedin you will not run out of things to do. Harbor Club Complex includes a clubhouse, swimming pools, hot tubs, tennis courts, grilling areas and even a car wash station. The inside of the unit is light, bright, and clean. Ready for you to move in! No popcorn ceilings, updated lighting fixtures and new fans. LED can lights in living room . Newer, upgraded Samsung washer and dryer (2017) and new water heater (2017). The entire condo has new window blinds as well! Come check this one out before its too late! Don't forget, A Rated Schools!! NEW ROOF + UPGRADES COMING TO HARBOR CLUB COMMUNITY IN 2019 PER CONDO MANAGER.